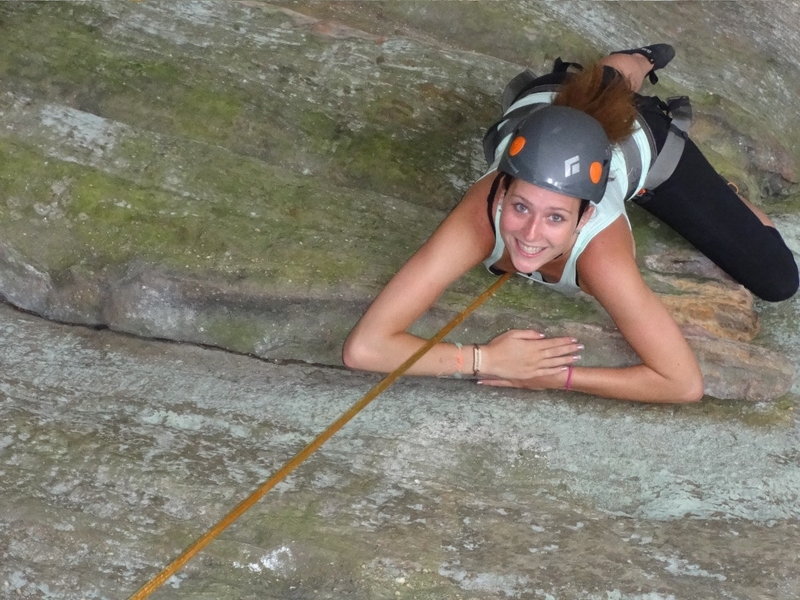 Learn to rock climb or just go rappelling. 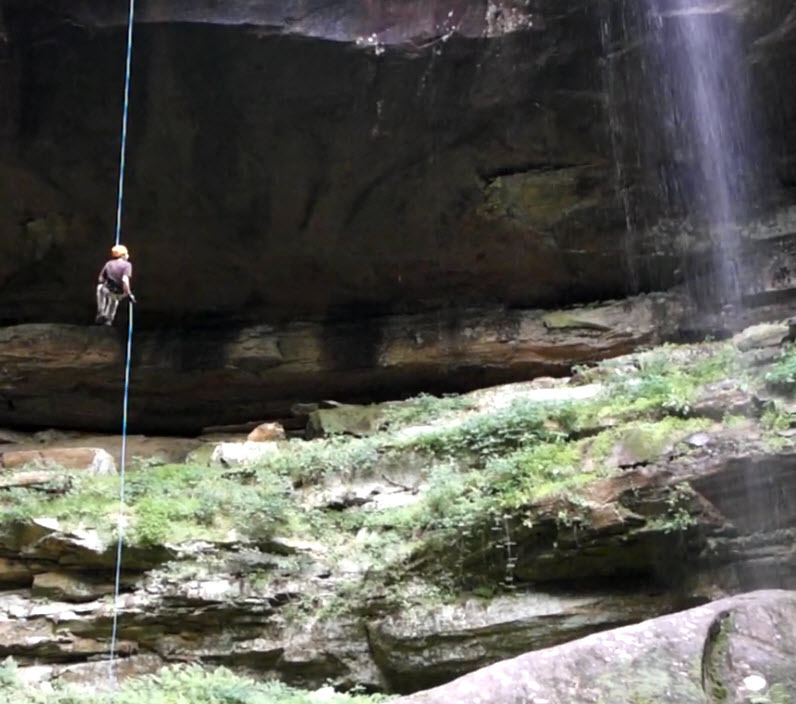 Rappel 35', 50', 95' and If you're up for it, rappel Big Spring Falls, a 115' waterfall. We're adventure guides, naturalists, artists and team building experts. 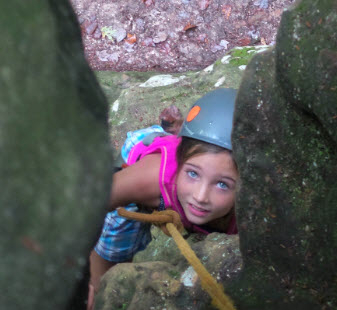 With a state wide network of professional guides we lead private treks for kids, couples and groups across Ohio. Each activity can be customized and scheduled stand-alone or combined la carte. 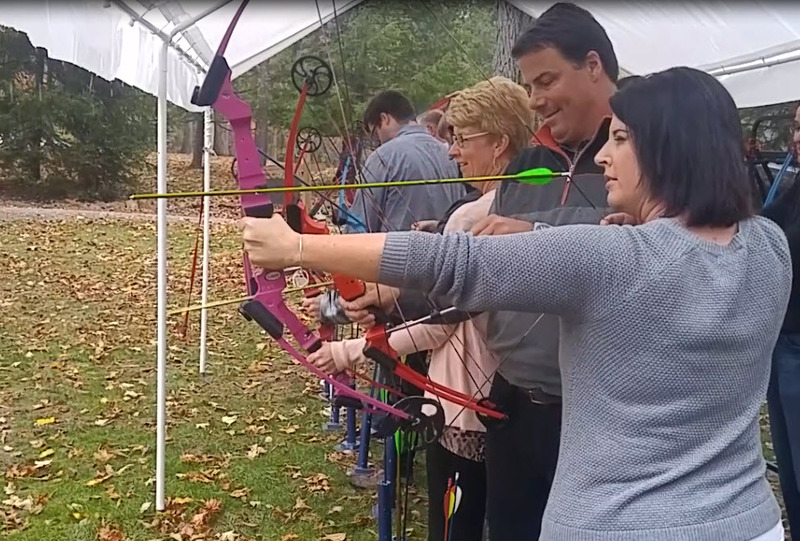 Imagine a team building event that starts out with an intro to archery, transitions to an edible forest hike and ends with live music in a cave! 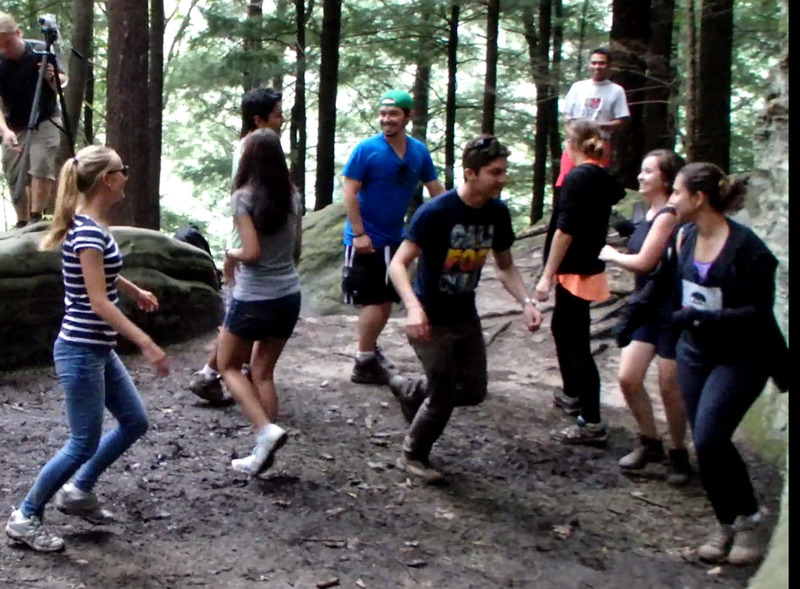 Trek with your group to a clearing in the woods where you'll find everything needed for an artist led nature event. 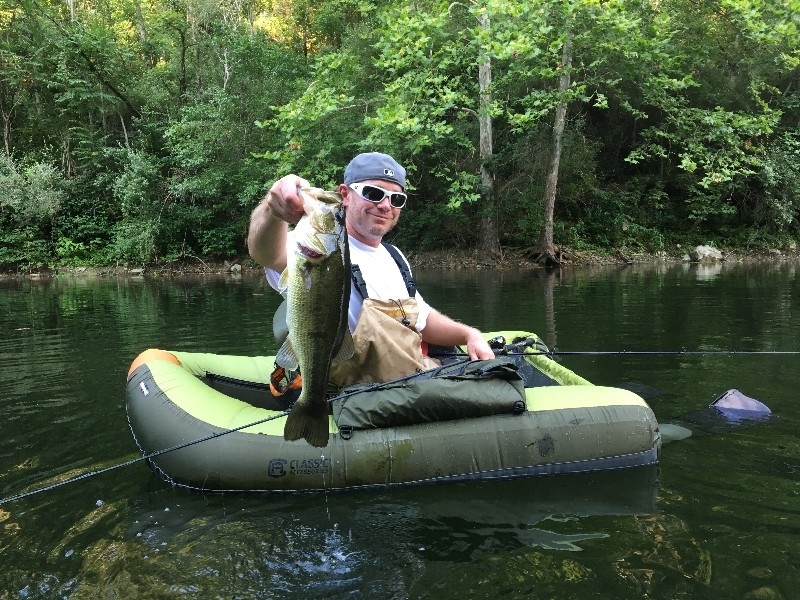 Join us for an Ohio Belly Boat Fishing trek and we'll show you hundreds of lakes spread across thousands of acres of public access wilderness...full of fish. Explore the Hocking State Forest with us and you'll discover hidden caves and waterfalls that you're free to revisit forever. 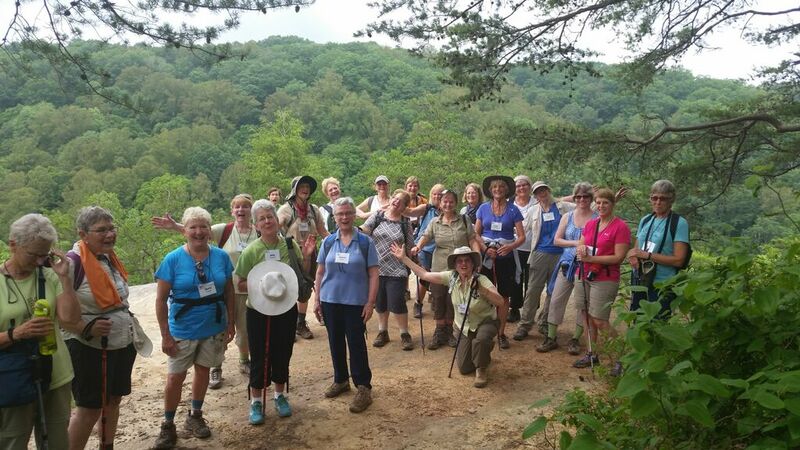 Hocking HIlls Adventure Trek is a TrekNetwork.com company. 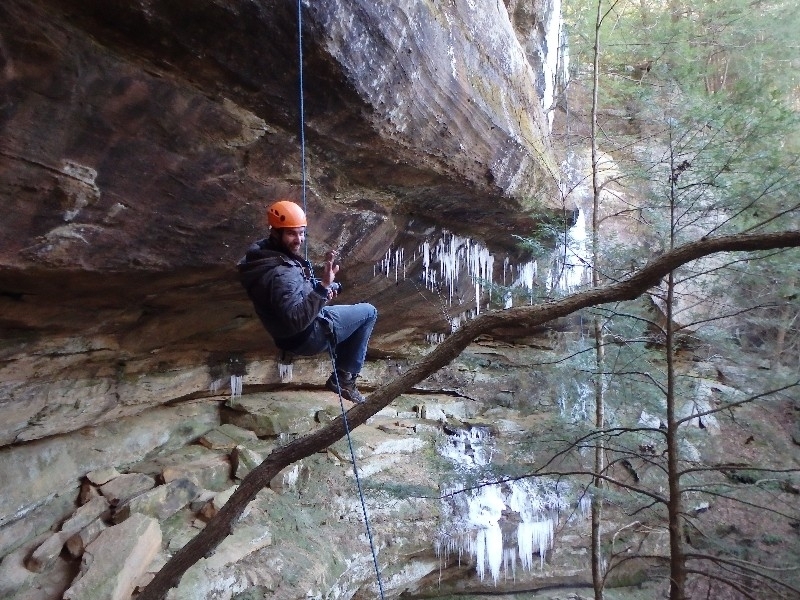 We're Ohio's premier guide service, local guides leading urban and outbound adventures and team building events. We offer programming in Columbus, Cleveland, Cincinnati, Southeastern Ohio and all points in between. Let us know when and where you'd like to trek and we'll be there. Give us a call with questions or to make a reservation at 740.777.2579.